It’s a bit hard to believe, but Milli will be 2-years-old in just a month. At 30-inches tall, she’s still a tiny thing, but she’s becoming quite the big girl anyway. 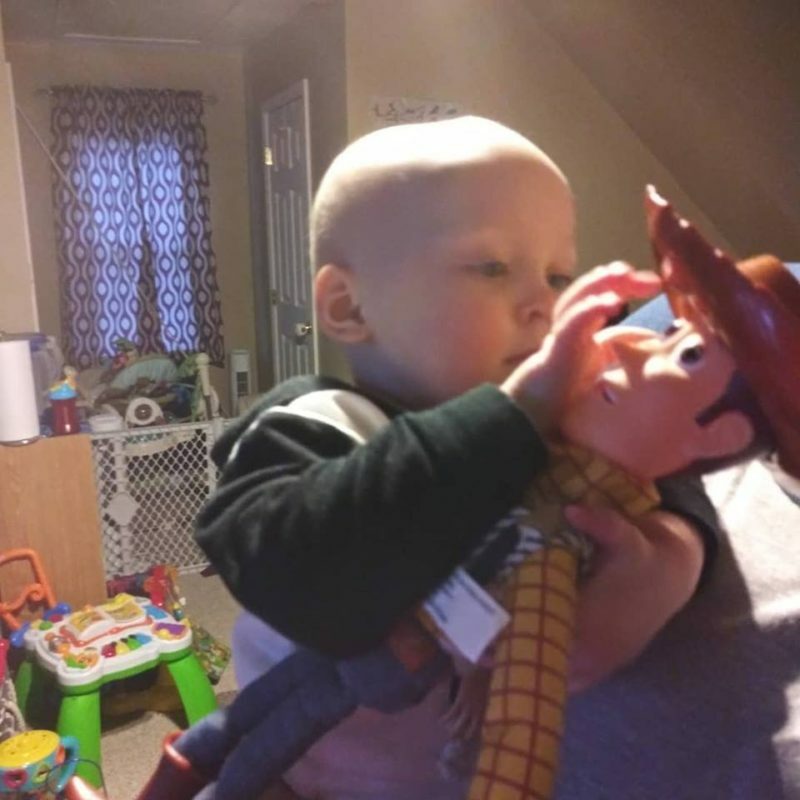 Mil’s latest obsession is Woody from the Toy Story movies. 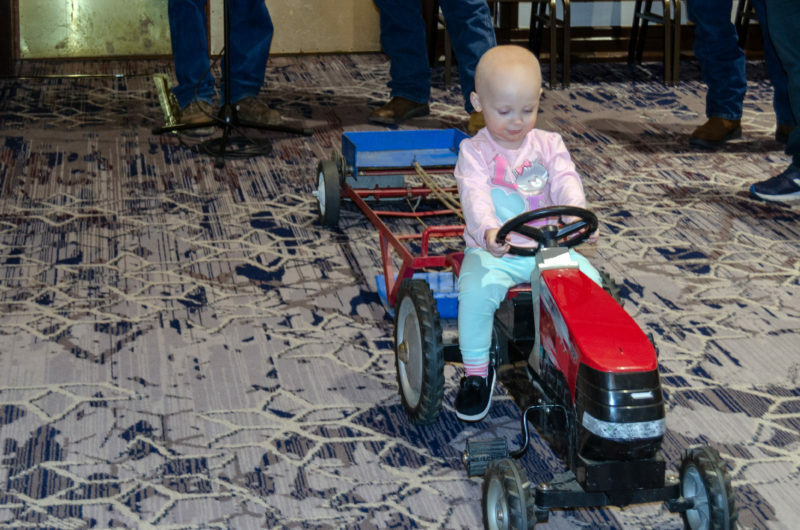 Her sitter got Buzz and Woody dolls for Christmas and she’s been obsessing over “Wooby” ever since. 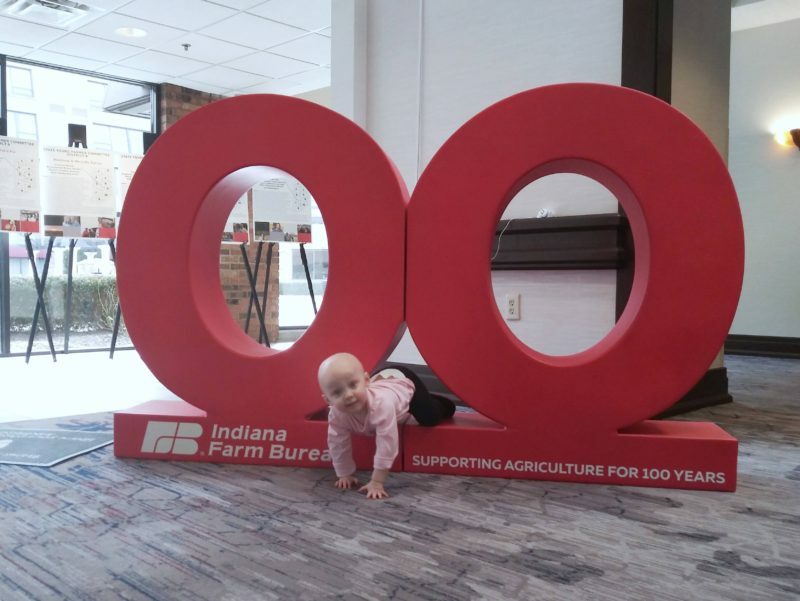 Milli got to go to her 2nd Indiana Farm Bureau Young Farmers conference this month. 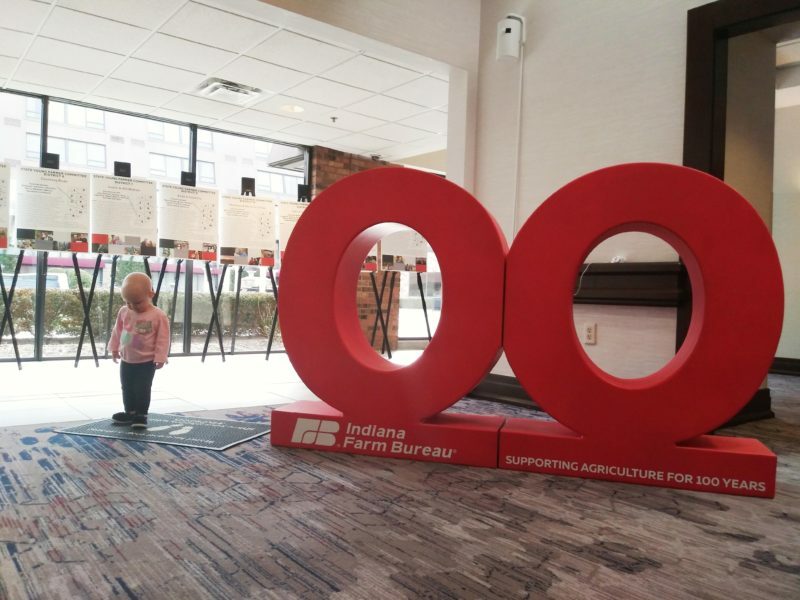 It was a big year or the conference, as it was the 100th anniversary of the Indiana Farm Bureau and the 50th anniversary of the Young Farmers (now Young Farmers and Ag Professionals) program. 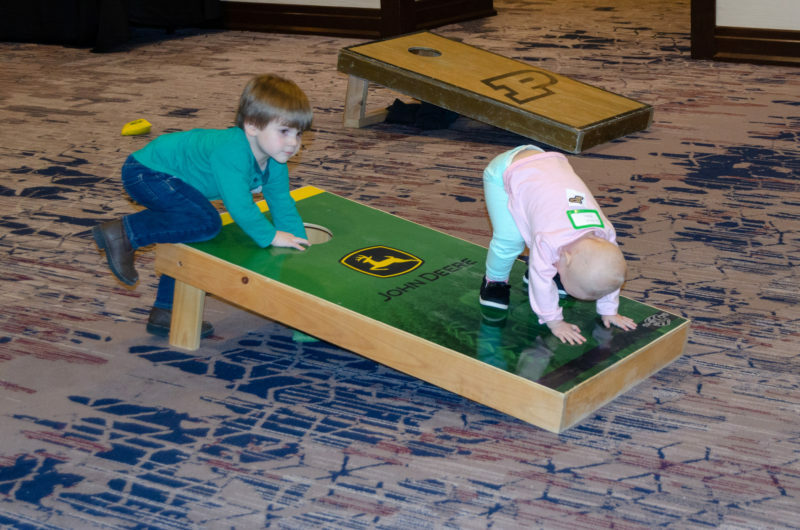 She had loads of fun playing with the other kids in daycare during the breakout sessions, playing on the special 100th anniversary signage at the conference, and checking out the pedal tractors from the kids pedal pull that our county puts on at the conference each year. 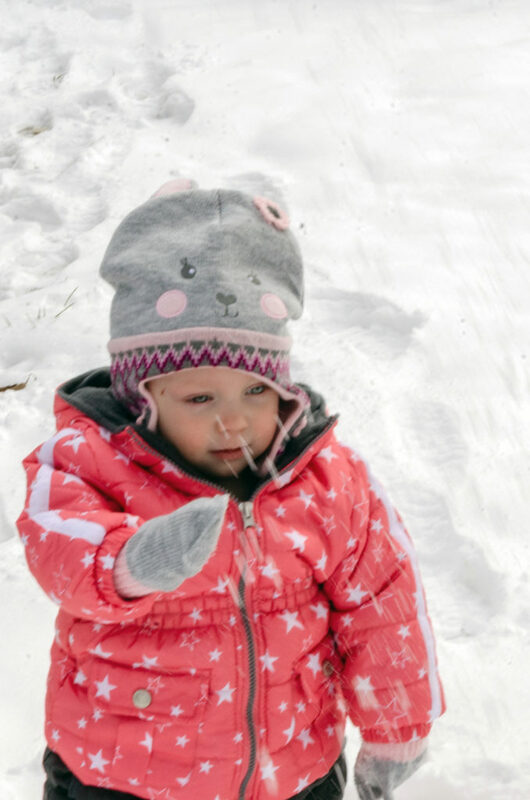 We also had our 1st big snow this month, so Mil got to go out and play in snow for the 1st time. 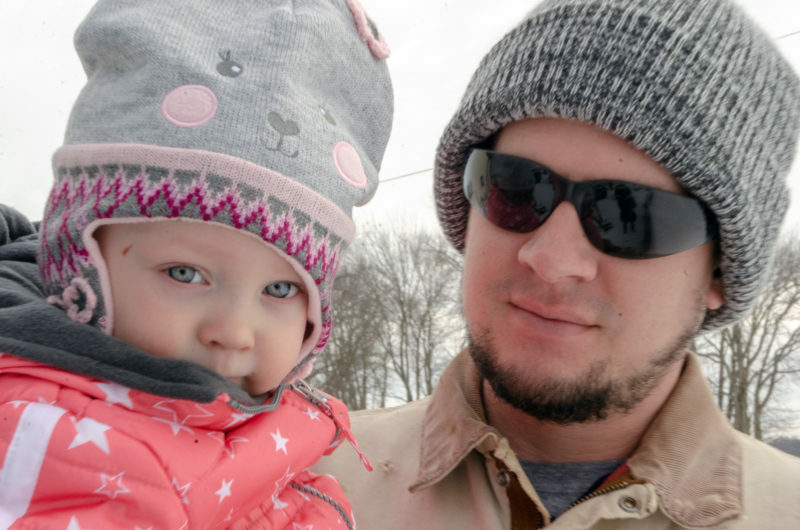 She enjoyed it when daddy was holding her, but didn’t like it so much when she had to stand it it by herself. 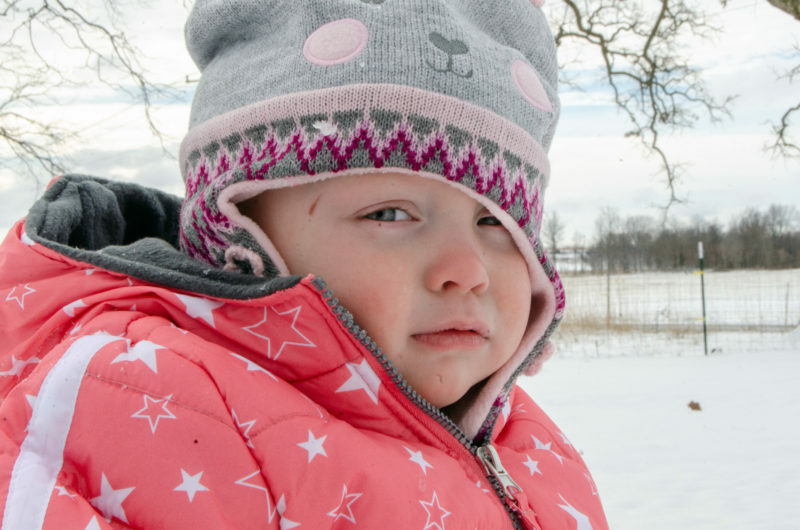 Between the tight-fitting snow suit and the tall snow, she was quite sure she was “stuck,” and didn’t like it. Plans for Mil’s birthday this year are pretty low-key again. She’s already got so much, that we don’t really need gifts, tho I wouldn’t turn down some outdoor toys, for when the weather warms up. Don’t worry tho, I promise to make Milli a special dessert for her birthday.